An exciting opportunity has arisen at the British Museum for two Postdoctoral Research Assistants to contribute to the Leverhulme Trust funded research project Enlightenment Architectures: Sir Hans Sloane’s catalogues of his collections under the Principal Investigator, Kim Sloan and Co-Investigator Julianne Nyhan (UCL). Beginning in January 2017, as part of this project, the post-holders will assist with the process of digitally encoding externally sourced transcriptions of six of Sir Hans Sloane’s manuscript catalogues and will assist with identifying information entities within them which will inform research. You will also participate in the production of the project’s peer-reviewed research publications, planned to be a minimum of four co-authored interdisciplinary articles which will be published by the end of the project. The successful candidates will have completed a PhD, or equivalent, and will be proficient in Latin and/or at least one modern language related to the project. With experience of research/teaching/curatorial work, you will have strong knowledge of electronic text, particularly digital cultural heritage resources for the 17th and 18th centuries. We are delighted to be able to announce the inception of Enlightenment Architectures: Sir Hans Sloane’s Catalogues of His Collections, a new research project based at the British Museum in collaboration with the Department of Information Studies at University College London. Enlightenment Architectures will start on 3 October 2016 and will run for three years until 30 September 2019. The project has received generous funding from the Leverhulme Trust in the form of a Research Project Grant totalling £332,552 awarded to the British Museum, where Dr Kim Sloan is the Principal Investigator. The Co-Investigator on the project is Dr Julianne Nyhan and the Senior Research Assistant is Dr Martha Fleming. The grant will also accommodate two Post Doctoral Research Assistantships and one Doctoral Studentship. 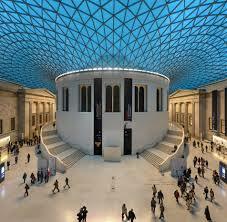 The call for applications for the PDRA positions are live now on the British Museum jobs website (see above). The call for applications for the Doctoral Studentship will appear shortly on the University College London jobs website. The objective of Enlightenment Architectures: Sir Hans Sloane’s Catalogues of His Collections is to understand the intellectual structures of Sloane’s own manuscript catalogues of his collections and with them the origins of the Enlightenment disciplines and information management practices they helped to shape. The project will employ a pioneering interdisciplinary combination of curatorial, traditional humanities and Digital Humanities research to examine Sloane’s catalogues which reveal the way in which he and his contemporaries collected, organised and classified the world, through their descriptions, cross-references and codes. The project will draw on the research framework that emerged from the 2012 AHRC-funded Sloane’s Treasures workshops, and findings will make significant contributions to histories of information science, histories of collections, and philosophy of knowledge, and will benefit a wide range of other disciplines as well. We look forward to communicating with you about our work, and welcome contributions from the wide-ranging scholarly communities whose disciplines will participate in and benefit from this research. We ask you to assist us in disseminating the announcements for the two Post Doctoral Research Associateships and the Doctoral Studentship and would ask you to alert colleagues and students who are eligible and appropriate to apply. As this is a Leverhulme Grant, the Doctoral Studentship is open to the EU as well as to UK applicants. The Research Associateships are open to international applicants.